Do your signs put your best foot forward? Custom printed perforated window wraps are a fantastic way to turn the square footage of your stand alone or storefront windows into visible advertising space. Because of the large window design of most entry areas, custom printed perforated window wraps are the perfect choice for most businesses in Riverside, CA. You know the first impression of your business is so very important, so when choosing to have a professionally designed, crafted and installed custom printed perforated window wrap; the choice of the company can be as important as the message. 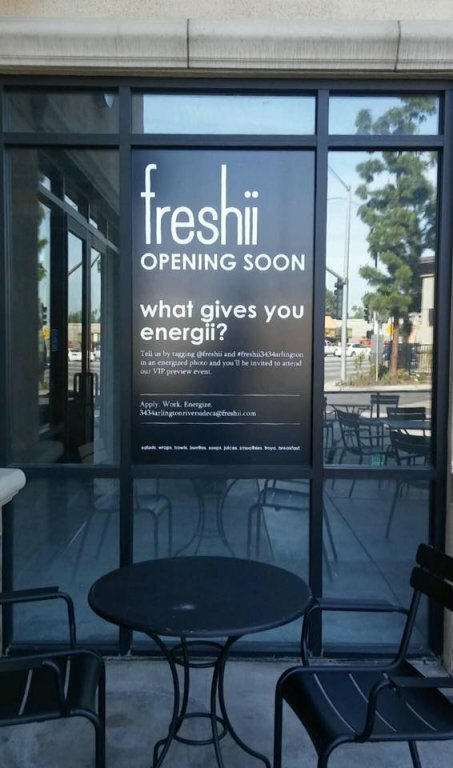 Recently the Freshii Healthy Eating Restaurant serving Riverside, CA. and surrounding areas chose Precision Signs & Graphics for their custom printed perforated window wrap for their street view windows; let’s look at some of the steps that led to this attention-grabbing project, shall we? The choice that Freshii Healthy Eating Restaurant, serving Riverside, CA. and surrounding areas, made to choose Precision Signs & Graphics for their custom printed perforated window wrap was not just because we had a competitive price. They looked at the examples of our workmanship, quality of window wrap materials and our high standards as determining factors for choosing us as their custom printed perforated window wrap company. As this project was to be a visual focus point for their business, it was necessary that the final product reflected their branded image, as well as the quality reputation that this particular business has earned across the country. Considering the visibility of this specific project, most likely being the first impression that customers will see, particular attention was paid during our initial consultation and design. 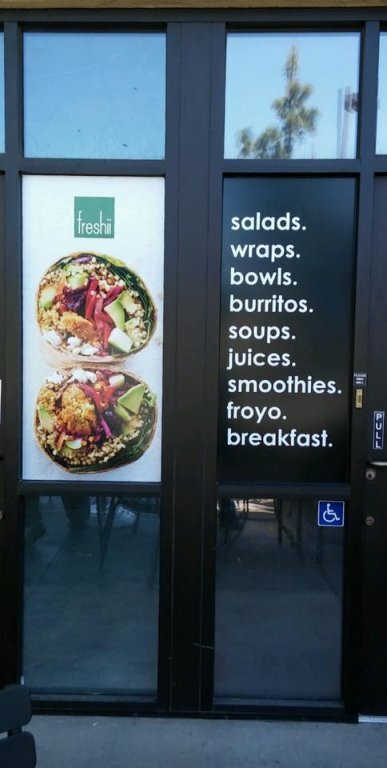 Using different samples we were able to narrow down the fonts, colors, graphics and sizing needed to craft the custom printed perforated window wrap to the Freshii Healthy Eating Restaurant’s specifications. By looking through additional resources such as available print media and their parent company website we were able to craft a series of designs that nailed the company’s branded look and followed along with their current creative marketing. 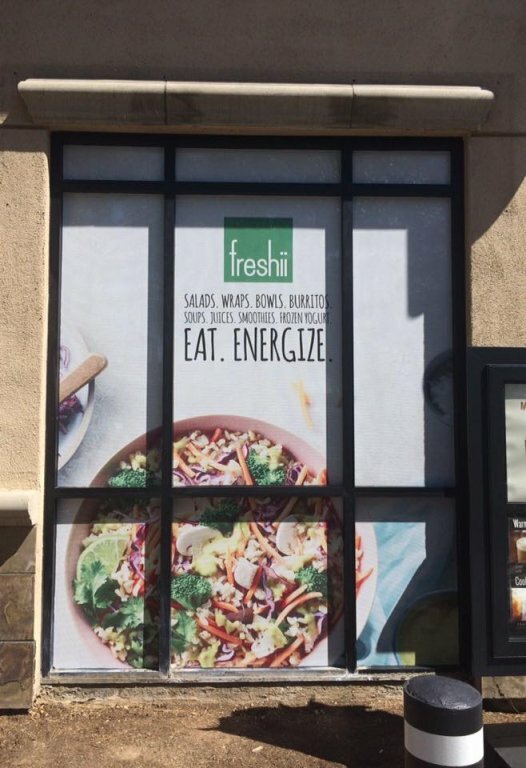 Naturally, the final printed perforated window wrap design was approved by Freshii Healthy Eating Restaurant prior to material selection and installation, so there were no doubts on their part whether the finished product would look good or not. We also showed them a rendering of what the finished product was to look like before the first inch of material was printed. Based upon the overall printed perforated window wrap specifications identified in the design, we look for the proper 3M or Avery materials that will best suit the application; materials were carefully hand selected based on the long-term mindset we seek to fulfill with our quality printed perforated window wraps. As a Window-based application a UV coating was necessary to keep the colors vibrant for many years to come. For this window application, we use a vinyl where the ability to look thru the material was needed. Typically, from the inside looking out, this is perfect for those printed perforated window wraps that require the design to cover the windows where it’s necessary for customers to be able to easily see out through the printed vinyl. This material also works great for vehicle window applications as well. Some of the panels for this were solid rather than perforated to assist with sun in the drive-thru. As part of a perfect installation, the installation crew will receive a design template (printout) that identifies the location points for the most important elements in the design, namely the largest photograph or design element and any logos, phone numbers, websites or slogans. These elements are positioned in place with the installation crew making sure to align these elements perfectly to the framing of the glass separators. The entire wrap process can be done within 2-4 hours; if needed, the wrap can be scheduled as to work with the “window” of your store’s or restaurant’s closed hours (pun intended). Obviously, this varies depending on how much square footage/windows we’re wrapping and how tall the windows are. Sometimes we need to use lifts or scaffolding to reach the tops of some windows. Precision Sign and Graphics, as a locally owned and operated sign company that utilizes the latest technology, top industry graphic design talent and state-of-the-art equipment; we were pleased to partner with Freshii Healthy Eating Restaurant and their vision for healthy eating. With our goal to seek and build long-term relationships with our customers, this is a great example of some of the values that the owners of Precision Sign and Graphics instill in their own home and personal lives. By having a healthy mindset, great food and neighborhood friendly service; the Freshii Healthy Eating Restaurant is a great asset to the Riverside, CA. area community. Are your business signs tired and old looking? Let us help with a fresh new look! Windows, Walls, Doors and Floors, Vehicles too! We have the newest, latest, greatest promotional displays for your next convention. New business? 1st impressions are everything! 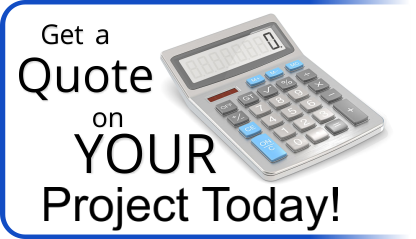 Let us help you do it right! Copyright © 2019 | Precision Sign & Graphics. | All Rights Reserved. "You guys do what you think is best, I trust you because I know you do good work and you come highly recommended."